When someone or something is described as an addict it’s not usually within a positive context, thankfully, this instance is an exception to the rule. 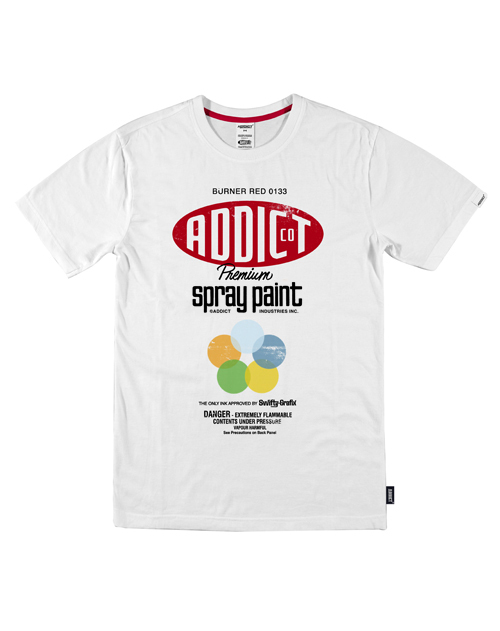 Fresh from the UK, the Addict brand brings us some really sweet tees. Unfortunately they are only available in the UK for the moment. 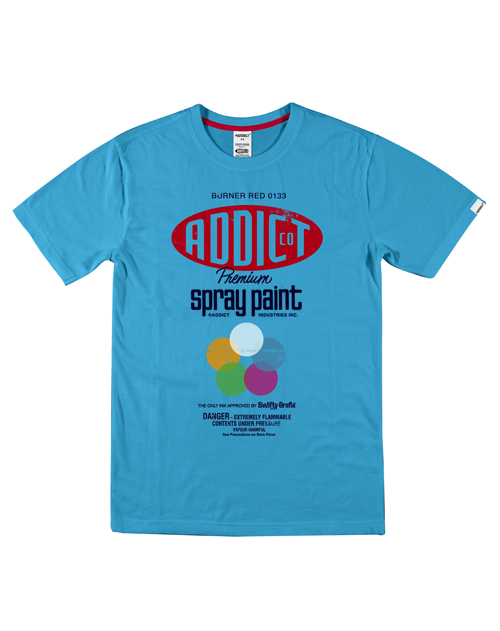 The only addiction associated with Addict the brand is a positive one, referring to an individuals truest passions, those activities you do repeatedly, listening to your favourite album, riding your board or bike, painting or (as is the case with one of its founder members) collecting vintage arcade games. It’s about your devotion and dedication to something, much the way the founder members of Addict and its followers feel about the label. Starting life as a menswear label in 1996, Addict has developed a signature style of streetwear that blends classic casual wear with the performance, quality and functionality of high spec outerwear. The brand has over a decade’s worth of heritage in the streetwear genre, its roots run deep in the design, music and board sports communities crossing over both to the underground and mainstream alike since birth. 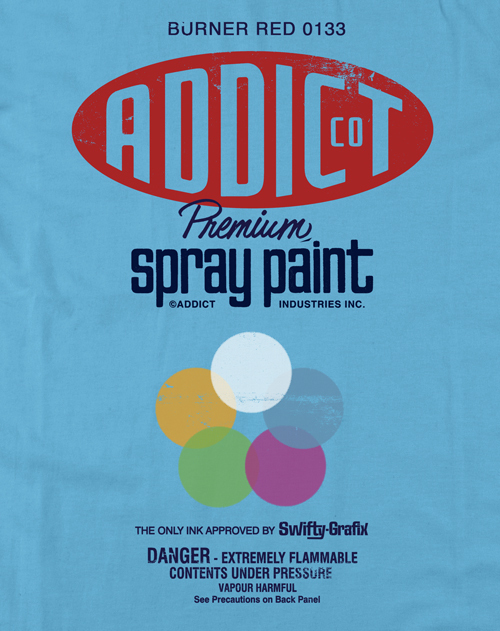 Long a favourite of the freesports fraternity, Addict is much more than your common or garden clothing range. 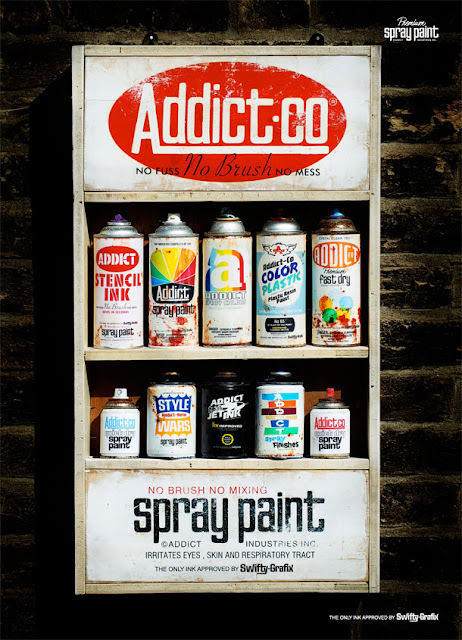 Despite the rapid growth in popularity and distribution over the years, Addict has a tight, focused team of individuals who are intensely passionate about the brand and keep a tight reign over its development, producing all clothing, graphics and media for the mainline in-house, focusing on product development, letting the brand evolve naturally rather than bending to fit in with fashion. Addict regularly work with and support a collection of independent highly sought after artists and illustrators on the more limited edition ‘artist series’ ranges. A reflection of their general company ethos, the artists and designers Addict work with are sourced mainly on a social basis. 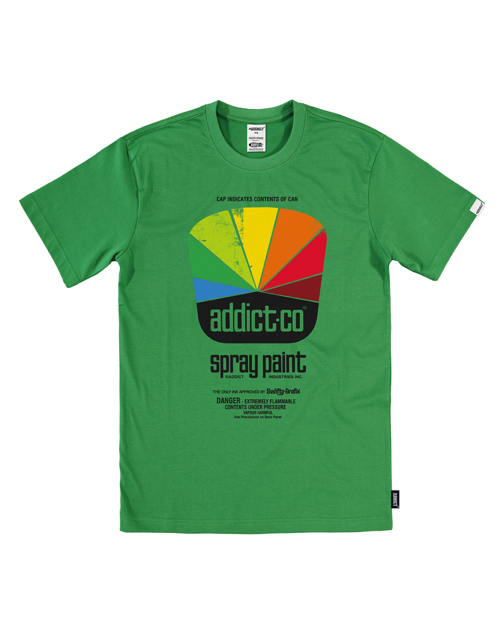 The limited edition artist series tees and related products have seen Addict working with a plethora of contemporary talent including long time collaborators She One, C-Law, Mitch and Swifty, Mode 2, Jimi Crayon, Ben Swift, Guy Featherstone, Shogun™, Will Barras, Mr Jago, and Steff Pleatz to name a few are all regularly on the roster and have become part of the unofficial extended Addict family. Collaborative projects have seen co-branded products with the likes of Vans, G-Shock, Microsoft Zune, Activision, Lucasfilm (Star Wars), Disney (Bloc28 and Tron), Endeavor snowboards (Vancouver Canada), and Spy Optic(California, USA) to name a few as well as special projects with famous artists Syd Mead (Visual fururist responsible for the concept art in Blade Runner and Tron 1982) and Milo Manara, one of the worlds greatest comic book artists. Music is a strong influence within the brand and ‘ABC’ or The Addict Beats Collective arm of the company embraces a cross section of musical genres with high level support from the likes of The Nextmen, Rodney P and Skitz, London Electricity/Hospital records, Stanton warriors, LSK, Big Bud, Genna G, Maxi Jazz/Faithless and Part-Time Heroes as well as sponsoring nights at Rukus in Bristol, New Bohemia in Leeds, Hospitality at Herbal and Spectrum in Nottingham.